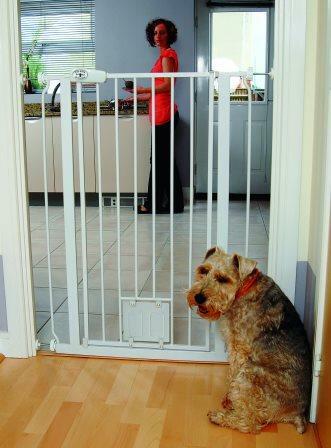 * Includes the addition of a cat flap in the gate door to give maximum flexibility for big and small pets. * New type of locking handwheel - Child-proof and can not be over tightened or work loose in use. Use to extend the gate width up to 148 cm. * Easy to follow installation instructions.